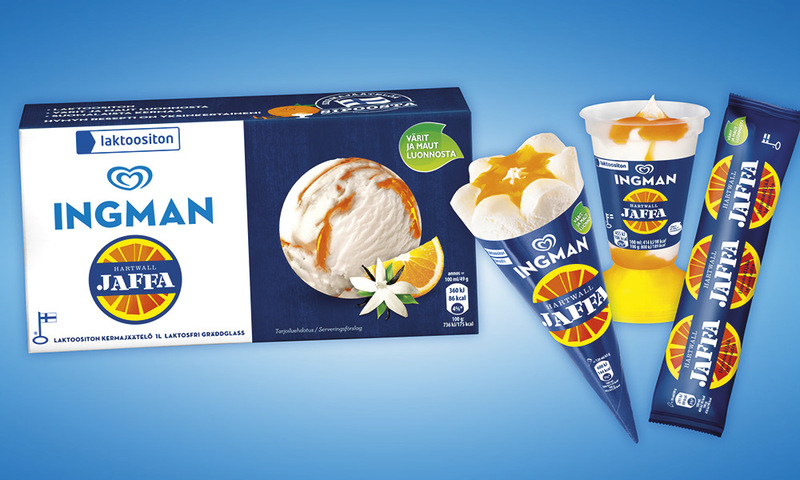 In this case example we co-designed packages for Ingman Hartwall Jaffa product family. During the design phase we took into account the value of both brands and we made sure that the result was visually coherent. Our experience in printing methods ensured that the look of the printed products was excellent and colours were repeated in different printing materials as planned.